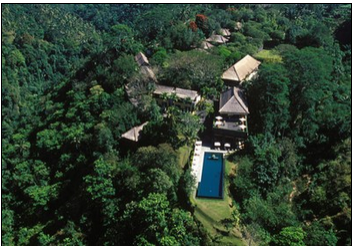 If you drive for about an hour and a half north-east of Kuta you will find the bohemian cultural centre of Bali, Ubud. Famed for its arts, Ubud is a cool area of Bali and home to many expats. Located in the district of Gianyar, the town of Ubud is central and surrounded by a group of villages: Padang Tegal and Nyuhkuning are to the south, Peliatan and Kutuh are to the east, Campuhan, Penestenan and Sayan are to the west and Sanggingan and Kedewatan are to the north-west.